← What is the “Best” Tomato to Plant? 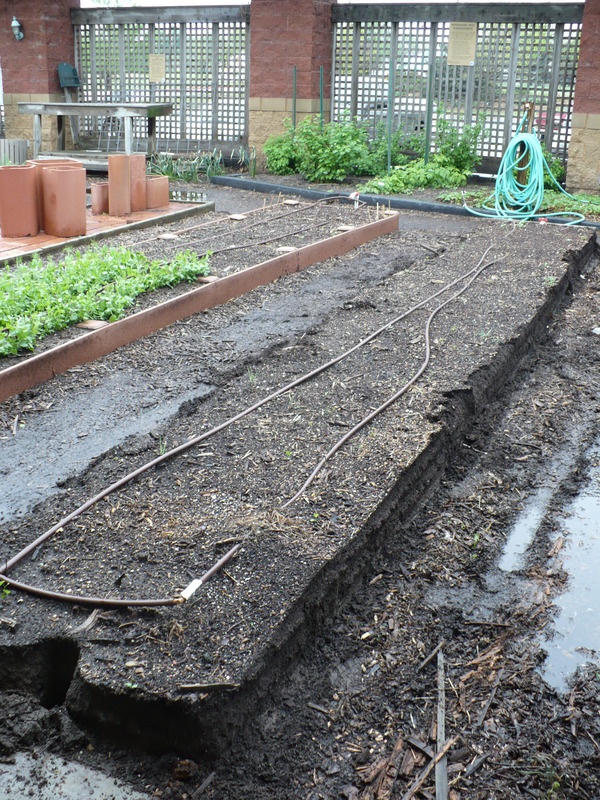 The raised bed with the old, rotting edging removed. Look at those puddles. This was a muddy job! Also, notice how much higher the new boards are that the garden. It is supposed to be sloped away from the sidewalk to drain away from the building. We didn’t realize how much that end had settled until the new lumber was in place! 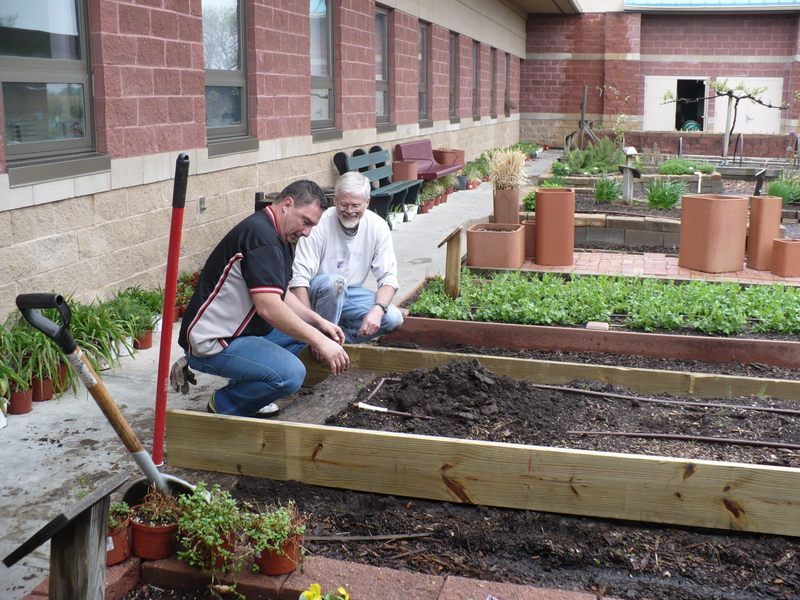 The completed raised bed. We used railroad ties on the ends and 2 x 10 treated lumber for the sides. Notice the two braces in the center of the bed. These will help prevent bowing. 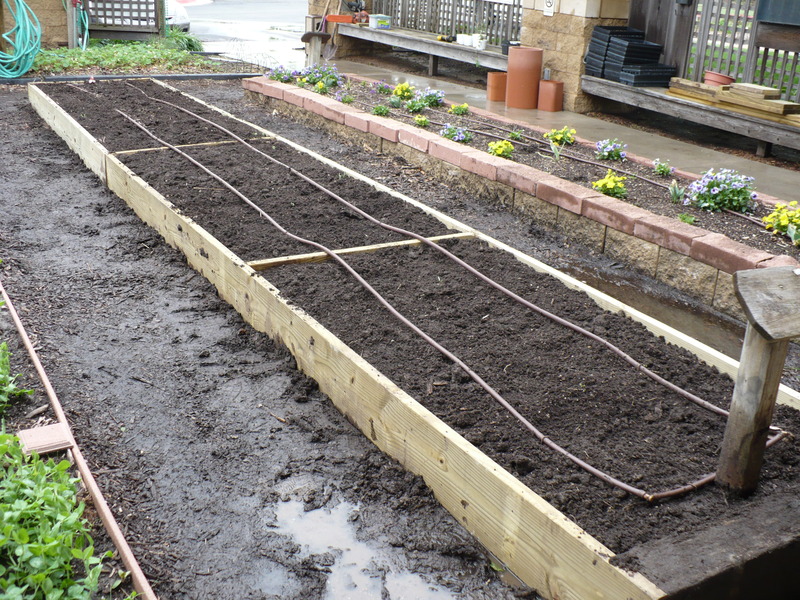 Posted on April 30, 2009, in Working in the Garden and tagged garden site, raised beds. Bookmark the permalink. Leave a comment.